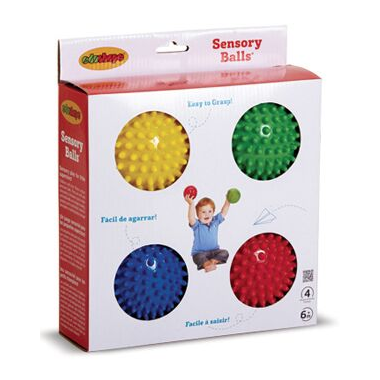 Edushape's original Sensory Balls are made of the highest quality materials. 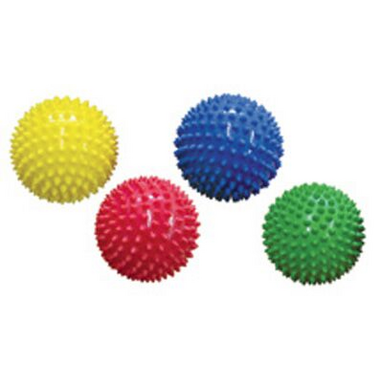 Safe, fun, therapeutic and available in many varieties, they come fully inflated and ready for action! Includes four assorted colours. Ball can be re-inflated with built-in "basketball pin"
Recommended for ages 6 months+.